On the rather brightly coloured record Ici bas rien n’est impossible by the Cameroon-born Canada-based griot Njacko Backo, is the face of its leader looking down, wide-eyed, as if from the heavens. He is looking at a dramatic interpretation of the Tree of Life, whose fruits are the instruments played by the band that Njacko Backo fronts: Kalimba Kalimba and is named after that resonant thumb piano that is the favourite instrument of West African (where it is called a mbira) and Sub-Saharan griots—those itinerant jail kunda storytellers and praise singers, who travel from village to village in the regions of that continent communicating the history of a people in an oral tradition that has been carried on from generation to generation for thousands of years. Today the griot singer’s mandate has grown over the ages to include cultural communication, political comment and also delicious gossip. When Njacko Backo inherited this tradition from his ancestors, he too travelled and performed at various country venues until he grew restless and yearned to see Europe. 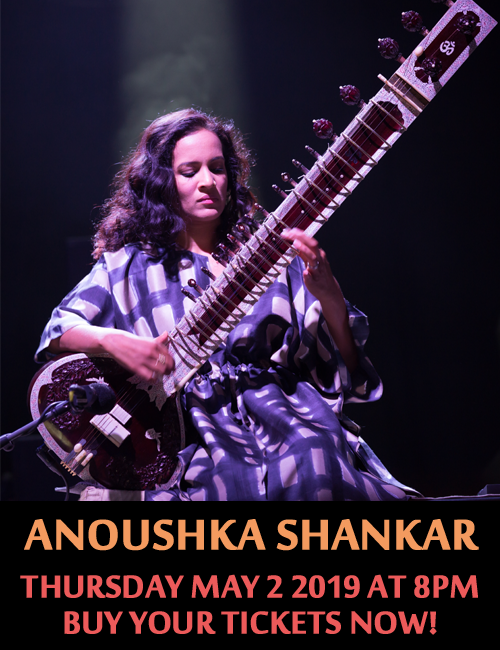 After four years on the road, he finally reached the other continent and found his way to France and then to Canada where he regales audiences and artists alike with his unique tradition and its wondrous situation in the contemporary world. Njacko Backo was born in the Francophone part of Africa—Cameroon—but schooled in the University of Life, when, as a teenager he decided to light out for Europe, travelling and performing in the dusty, but culturally rich villages of Africa for over four years. He was a natural fit for the artistic environment of Montreal, where he made several albums with various bands he formed and named after his fabled instrument. Culturally he may be Francophone, but his philosophy on life—radical pacifist—was formed on the road of hard knocks, where he also appears to have learned to be puckish and full of wry humor and unfettered joy. This is immediately obvious as the radiant notes of his kalimba meld with the dewy cry of Larry Cramer’s trumpet and George Koller’ sitar; all the three musicians uncoiling in the unfurling, fluttering flute of Jane Bunnett. This is how Njacko Backo announces his arrival—right on the first track, “Randonée De La Paix,” which he translates as “Hiking for Peace”. This is the central theme, not only of the album, but also of the artist himself. 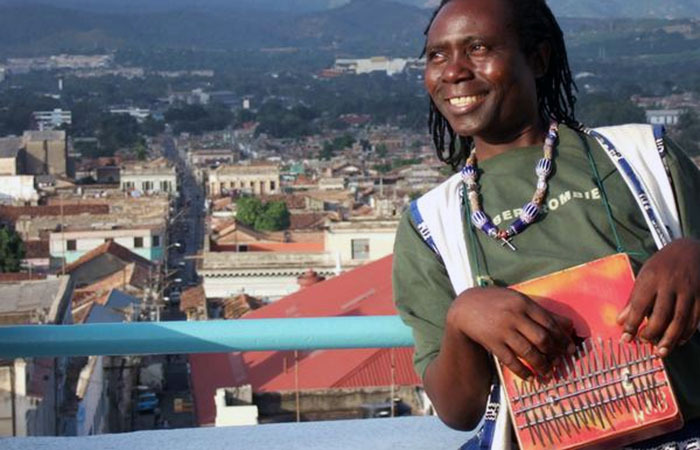 Having set the stage for his travels and his message of peace, Njacko Backo proceeds to tear apart the complexities of the world around him with music that is deceptively simple, melodically as well as complex in its African polyrhythms; music that is swathed in the polyphony of a myriad of world cultures. He makes fun of the politics of the world’s countries, singing in French dialect that is both sweet and funny, on “La Politique C’est Fou” and inoffensive in an almost child-like manner, playing the proverbial griot to the hilt, but in a mighty Afro-Caribbean manner. His prayer to and for the earth that he and his ancestors worshipped and cared for is forlorn, considering its state today and in revealed on “Ma Vérité,” a monumental palimpsest that is sung with great gusts of wind from the lungs, powered by the bass and the bass kalimba and a piano vamp that is informed by a traipsing right hand and a growling left hand, both of which are sandwiched by a screaming, gutty guitar and a jabbering African drum. The leader’s erudite philosophy on life continues throughout the album through melodies that are both wondrously radiant and lyrically moving. “Tu Es Mon Coeur,” is just one of the songs, all of which build up to his tribute to Africa is most heartfelt. And all of these melodies prepare the way for the powerful griot narratives of “Sy Nkobeu,” “Katchabi” and the magnificent “Ici Bas” a powerful bookend for this melodically resplendent album. Track Listing: Randonée De La Paix; La Politique C’est Fou; Ma Vérité; Tu Es Mon Coeur; Sy Nkobeu; Life Goes On; Nkoni Meu Nkouou; Kalimba Je T’aime; Afrique Je Te Remercie; Sentier De L’amour; Katchabi; Love Is Sweet; Leave Me Alone; Ici Bas. 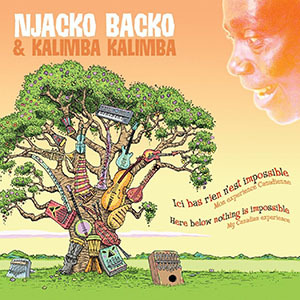 Personnel: Njacko Backo: lead vocals, kalimba, bass kalimba, congas, djembe, ashiko, cow bells, shakers, shakere, guïro, vibraslap, flexitone, African telephone; Celina Carroll: backing vocals; Anne Lederman: violin, accordion, alto viola, backing vocals; Joaquin Nunez Hidalgo: timbales, udu; Paco Luviano: electric bass; Chip Yarwood: guitar, flute, banjo; Altaf “Bwana Moto” Vellani: drum set, congas, tama (tambour parlant); cow bells, shakere; Valery Woloshyn: bass kalimba; Anne Bourne: cello (10, 11, 5); Jane Bunnett: soprano saxophone, piccolo, flute (1, 2, 4, 6); Gareth Burgess: steel pan (11); Andrew Byerley: lead vocals (13); Larry Cramer: trumpet (1, 2, 4, 6); Mohamed Daiby: djembe (2, 6); Kassoum Diamoutene: balafon (6, 12); Colin Doroschuk: grand piano, guitar, backing vocals (3, 9, 10, 11); Pat O’Gorman: Great Highland bagpipes, Irish Uilleann pipes (7, 10); Ken Whiteley: long neck banjo, 5-string banjo, cello banjo, tenor banjo (2, 4, 6, 11, 13); George Koller: sitar, dilruba (1, 8, 9); Todd Martin: balafon (6, 12); Paul Neufeld: Wurlitzer Electric piano, Hohner clavinet, organ, Korg synthesizer (2, 6, 11, 14), bass (11); Heather Ryan: oboe (12); Sahara Sloan: backing vocals (2, 3, 6, 7, 9, 10, 11, 14).